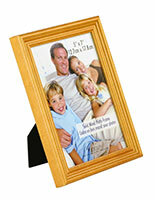 These oak photo frames create a fantastic tabletop or wall-mounted display that complements any home or office décor. 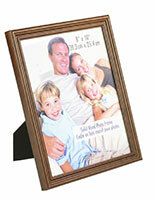 The holders' (2) mounting hooks and a two-way display easel allow for a choice of landscape or portrait orientations. 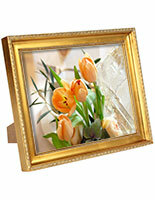 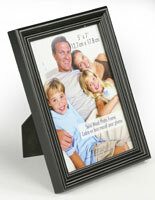 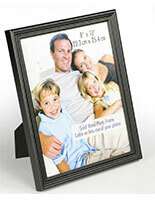 The photo frames feature a clear glass cover for protecting images from water and dust. 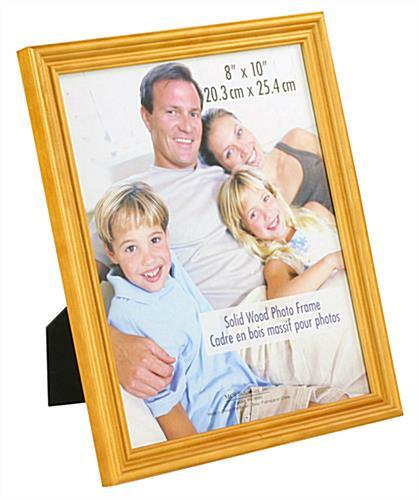 To change pictures, simply lift up the metal fasteners to remove the backing, position your photo on its protective glass and replace the back. 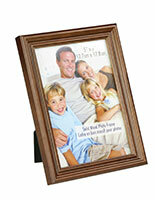 The frames are also available in a choice of black or walnut finish. 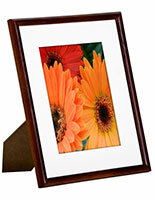 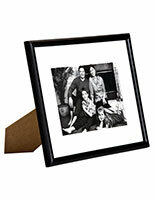 The affordable holders make great gifts for birthdays, weddings and anniversaries.